For those of you who live in Randwick in Sydney and you’re having difficulty opening and closing your sliding door, then give the team at Adsafe Doors a call. 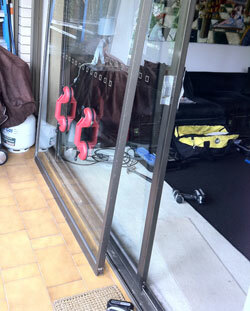 We are able to repair and fix your sliding door so it is rolling and sliding like new again. 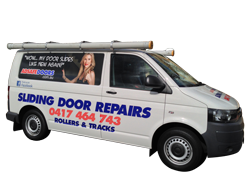 We have been servicing sliding door repairs in the Sydney area and in and around Randwick for over 25 years. Our team has the experience and skills to help fix your door quickly and efficiently. The first thing we do when we discuss your door repair needs is we identify exactly what type of door you have. We are very keen to know the exact problem you are having so we can diagnose it and give you an accurate quote on what needs to be done. In fact, on a number of our pages we have specific door repair problems that we have identified. This will help shortcut the repair time and make sure you can see exactly what type of door you have and the problem. We will then get to the bottom of your door repair challenge very quickly. The first thing we do is we will discuss your door issue, whether it’s jammed, whether it’s stuck, whether the door locks no longer line up. All of those issues can be repaired and solved by our team at Adsafe Doors. Once we have identified the sliding door repair issue, we will make sure we have all parts and we have a full supply of parts in our van at all times. We will have replacement rollers and tracks and locks if need be. Our process is very straightforward. We’ll give you a time so you know exactly when we’re going to arrive. Once we’re there, we will lift the door out safely with our professional equipment and we will identify exactly what needs to be done. Generally speaking, the rollers and tracks are the trouble areas. They are either cracked, disintegrated, broken, or just totally seized up. We will then replace the tracks and the rollers for your sliding door repair in the Randwick area, and we’ll get your sliding door rolling like new again. You will be amazed at the difference it makes with a brand new track and brand new rollers on your door. You will be able to open and close your door with one finger, and the locks will line up perfectly every single time. We use high-quality parts and we’ll have your job done satisfactorily. Give our team at Adsafe Doors a call today, and we look forward to speaking with you and repairing your sliding door.